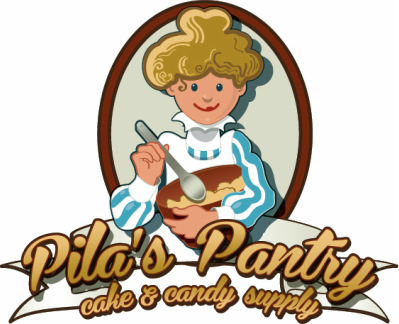 Welcome to Pila's Pantry Cake & Supply! We are your one stop shop for cakes, classes and supplies. Paul and Lori Pila Dickinson opened Pila's Pantry Cake & Candy Supply in Norco, California in December of 1999. As we have grown and changed, our ideals have stayed the same. Our business is run with an emphasis on quality products, fair pricing and knowledgeable staff. At Pila's, we have a threefold mission - sell quality products, teach our customers to be better decorators, and demonstrate by example in our custom bakery. We are constantly adding new products to our stores to keep you up to date on all the latest techniques and tools. These shops are packed floor to ceiling with awesome supplies! Since we want you to know how to use them all, our classes are designed for those who are at the very beginning to the experienced decorator who is looking for some new tips and ideas. For those that just want something spectacular without all the work, we offer a custom cake bakery where we will bring all of your dreams to life. And finally, to instantly satisfy that sweet tooth, visit our bakery case for a cupcake, brownie or any other number of goodies! We can't wait to see you here! We expanded with a new store in Orange, California opening November 2015! We made the decision to open this store due to the closure of ABC Cake Supply, which left many people searching for needed tools and products. We are happy to fill that void and keep people happily decorating. Though we do not provide baked goods at this location, you will still find our wide selection of supplies, classes, and delicious caramel apples. Our newest location is the former "The Sweet Mercantile" in Rancho Cucamonga. After many years as friendly competitors, we were thrilled to be given the opportunity to buy when the owners decided to retire. Taking ownership in June 2017, we look forward to serving the people of Rancho Cucamonga.